Father’s Day is a meditation on the quiet, sublime power of compassion and the beauty of simple, everyday things—a breakthrough work from one of our most gifted chroniclers of the human heart. 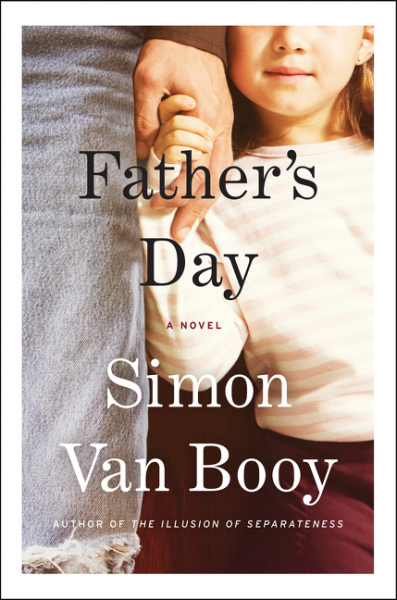 Simon Van Booy is the author of two novels and two collections of short stories, including The Secret Lives of People in Love and Love Begins in Winter, which won the Frank O’Connor International Short Story Award. He is the editor of three philosophy books and has written for The New York Times, The Guardian, NPR, and the BBC. His work has been translated into fourteen languages. He lives in Brooklyn with his wife and daughter. I can’t decide if I like this book or not. I liked the method of Harvey’s box of father’s day presents to Jason being the triggers for memories, letting us see in flashback how six-year-old Harvey with two parents, became twenty-six-year-old Harvey with only Jason (technically her uncle) and a life in Paris. I liked that they earned their mutual affection and respect for each other. I felt that the book was generally truthful. But at the same time, I’m left with the feeling that I didn’t so much experience this novel, as sort of assimilate it. Maybe it’s my own brain distancing itself from the emotional resonances with my own relationship with my stepfather, a man it took me twelve years to truly accept as family, or maybe it’s just that the plain, stark language didn’t give me that “oh, I love this language” feeling, even though ultimately, I found the story to be moving and very real. So, would I recommend this book? Yes, absolutely. It was engaging and interesting, and emotionally truthful. But I’m still not sure I liked it, because I’m not sure that word ‘like’ is an appropriate choice. Goes well with a ham sandwich on warm baguette and a glass of sparkling lemonade. 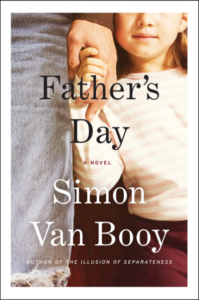 Review: Father’s Day, by Simon Van Booy by Melissa Bartell is licensed under a Creative Commons Attribution-NonCommercial-ShareAlike 4.0 International License. It is interesting to me how our own life experiences can affect the way we process a book.